Three legged self-supporting towers are made of triangular angular elements designed on a triangular base pattern. 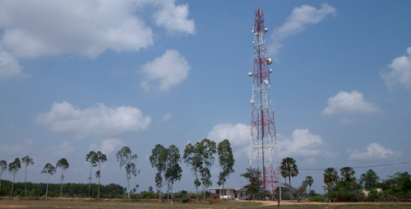 The communication Tower is optimized for medium to heavy loads and is generally suitable for standard cellular sites. Three Legged Communication Tower (also called Type E tower) is designed for heights of 20 up to 70m, and can be easily shipped in a standard 20′ ISO container. Its modular design allows for last minute modification and modules can easily be interchanged according to the specific site design. All communication towers (type E) can be supplied with a variety of accessories, such as platforms, antenna mounts, safety devices, obstruction lights, lightning protection kit and more. All of the accessories can be installed at any desired height and orientation according to customer requirements.